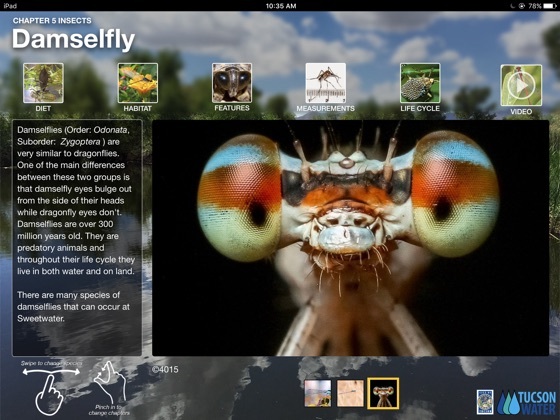 Experience Sweetwater Wetlands like never before! 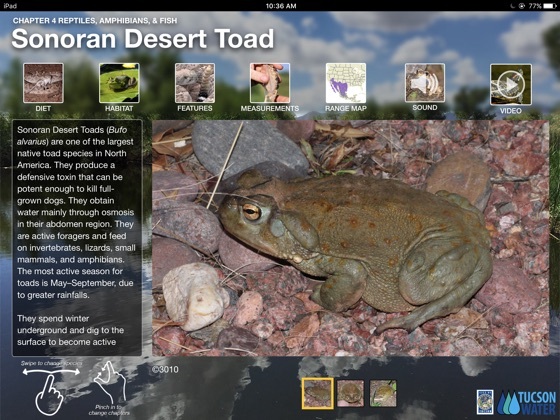 This interactive digital field guide features over 60 birds, mammals, reptiles, amphibians, fish, insects, and plants commonly found at Sweetwater Wetlands. 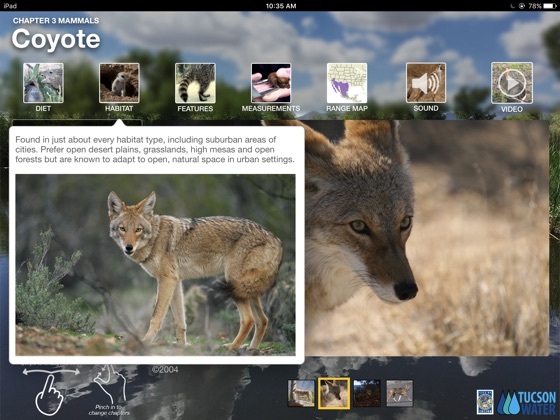 Descriptions, diet, habitat, measurements, range maps, sounds, videos, photos, and more are included for each species! 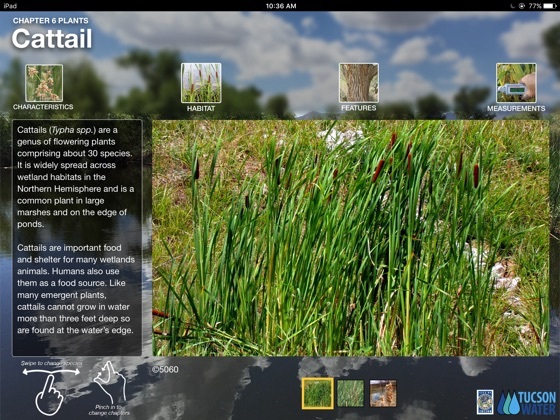 Discover the wonders of this unique environment from the comfort of your own home or during your visit to Sweetwater Wetlands. 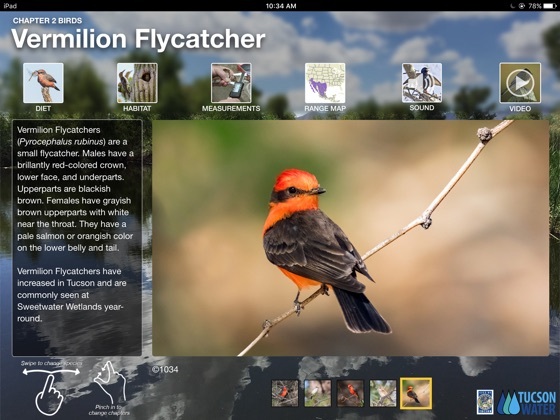 This interactive field guide is best viewed on an iPad. 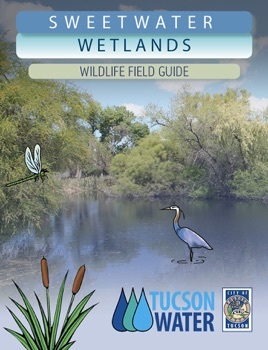 Sweetwater Wetlands is an amazing source for Tucson residents. It offers amazing trails and great birding opportunities. A desert oasis.